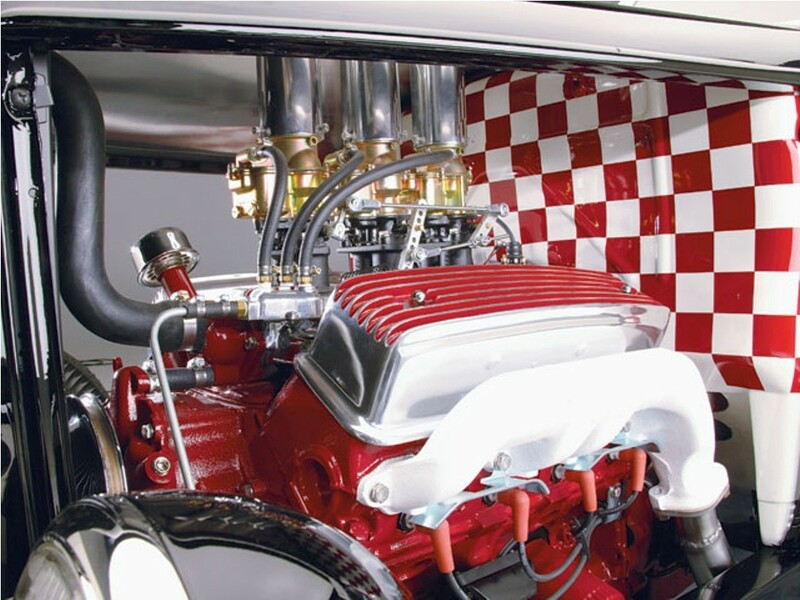 In a 2007 episode of the TLC channel's popular car-makeover themed TV show, Overhaulin'. 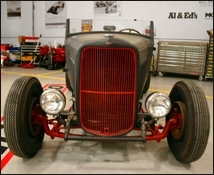 Host Chris Jacobs "lifted" the show's first & only Ford Model A "hot rod", a 1930 touring. Today, if you are interested in owning that car, it is for sale for incredible $100,000+! 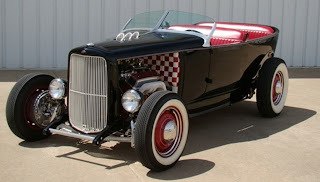 The car was on eBay recently for a ten-day auction starting April 1st through the 11th. With nary a bid, nor question posted, the auction closed as quietly as it started. The opening bid was set at $99,900 (which included a reserve). Which raises the question; Was the selling price too high??? In this authors opinion --hell yes! Why would the seller think that a lowly two-door touring car be worth anywhere near the price of the ever increasing value of a 1968 Shelby Mustang, or worth more then many real Henry Ford '32 roadsters? 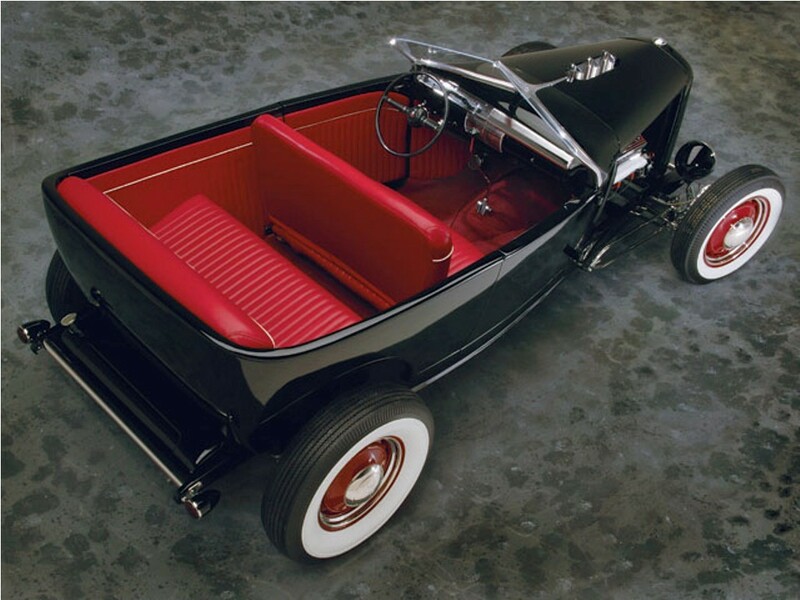 At this price, it would also make this one of the most valuable Model As in the world, and perhaps one of the Top-10 most valuable modern-built Model A hot rods? 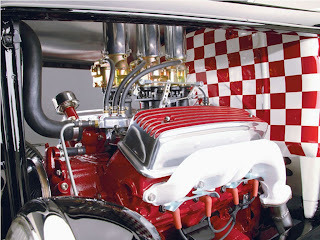 History of the Overhaulin' TV show builds: "Overhaulin' builds an incredible car in just a week." Could they build a traditional hot rod in seven days? "Chip Foose replies that if you took 30 guys at a shop and had them work 16 hours a day, you could do it." Thus, a normal shop with a few guys couldn't do it. Foose continues, "Besides getting this kind of job done in this kind of timeframe would be expensive. ‘An average shop rate is probably $2,500 per guy per week, ‘says Chip. ‘If you do the math, if it's straight time, that's $150,000 in labor alone.'" So with this type of labor and the multitude of custom-crafted parts, including frame, suspension, engine, and interior this Model A has upwards or over 200K into it. This isn't news to me, but we all know that some guys get carried away, and spend more on a car then the car will ever be worth. We call it a "labor of love", but this is plain stupid! So does association with Chip Foose add like $65,000 in value? Now the last time this car was for sale was April '09 on Craigslist for $75,000 according to Jalopnik.com. So has the car really gone up that much in value in these "tough economic times"? Or is the seller just casting a line hoping someone might tickle the hook, then give them a generous discount? Maybe down to $75,000? Whatever the seller is thinking, someone should give him the bad news... your touring-car (he called it a roadster?) price should be slashed in half! Then slash is again by 25%, now maybe you can sell it. UPDATE Dec 2011: No surprise the car is still currently for sale in St. Louis, now for $115,000. To see it CLICK HERE. An online auction is often active for a number of hours, during which bidders 'bid' for the product they want. They are usually allowed to withdraw from the proceedings at any time if they desire buy war medals online.